Just imagine what it would be like if armed security forces stormed into your home, arrested your loved ones, put them in a concentration camp, and took away your children. This is what happened to the family of 44-year-old Turghunjan, who I met while on a visit to Turkey to interview Uighur refugees. Turghunjan owned a jewellery business and for four years was regularly travelling between Turkey and China. During one of those trips in mid-2017, his family members were arrested without any explanation and his bank accounts frozen. "I have nothing to lose, as they have arrested my wife for nothing, and I don't know the whereabouts of my two baby twins and teenage boy," he said. "We only want peace, security, democracy, and freedom. People like me - who are living outside China and who lost contact with their family members - are giving tremendous sacrifices for peace." He broke down and sobbed while telling me his story. This has been one of many Uighur families that have been broken by Beijing's continuing repression in Xinjiang (East Turkestan). In August, the UN Committee on the Elimination of Racial Discrimination released a report in which it said that some one million Uighurs have been detained into "counterterrorism" centres in China and that two million have been forced into "re-education camps for political and cultural indoctrination". The Chinese government bluntly denied these accusations and rebuffed the committee at the time. But just two months later, it appeared to legalise these internment camps. It changed local legislation in Xinjiang to allow re-education camps to also implement "anti-extremist ideological education". According to human rights organisations, detainees in these camps are forced to learn Chinese Mandarin, recite praises to the CCP and memorise rules guiding their "proper" behaviour, while living in harsh conditions and experiencing psychological and physical abuse. This is the latest iteration of the assimilationist policies adopted by the Chinese government and motivated by the ethnocentric ideology of the Chinese Communist Party (CCP). The dominance of Han ethnicity - the largest ethnic group in China - has been inscribed into the writings of Mao Zedong, the founding father of the People's Republic of China, and put into practice in various forms over the past seven decades. 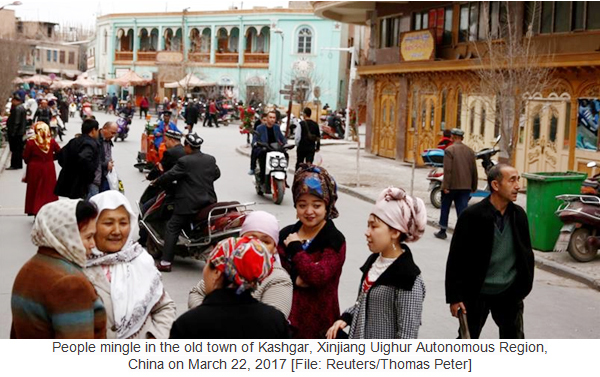 As part of these practices, the Chinese government has been systematically trying to erase Uighur culture and ethnicity in Xinjiang. Apart from these "re-education camps" for adults, there are also camps and schools for Uighur children where they are cut off from their family, language, religion and culture. Chinese state media regularly circulate photos and news articles depicting Uighur children dressed up like Han Chinese,studying Mandarin and learning about Han culture. The Chinese government has also gone as far as violating the privacy of Uighur homes in pursuing its assimilationist policies. In 2016, it launched the "Becoming Family"initiative forcing Uighur families to host CCP cadres at their homes for at least 5 days every two months. The Chinese state is also actively fighting against the religious identity of the Uighurs and has officially declared Islam an "ideological illness". It has destroyed many mosques, banned religious clothing and even Islam's holy book, the Quran. It has forced Muslims to abandon Islamic burials and accept the Chinese tradition of cremation, which the state is rapidly expanding in Xinjiang. It has also issued legal directives which specifically targets religious behaviour. The Xinjiang Uyghur Autonomous Region Regulation on the Comprehensive Management of Social Order outlines a number of measures which local state institutions have to undertake, including "managing religious affairs" and "conducting anti-cult education". The implementation of these policies has led to the labelling of everyday activities of Muslims as extremist, such as choosing to eat halal, refusing to marry Han Chinese, and or using Islamic greetings. The Chinese government has used three accusations as justifications for its massive repressions against the Uighurs: extremism, terrorism and separatism. The first charge - extremism - seems to be levelled against anyone who proudly expresses their Uighur identity. 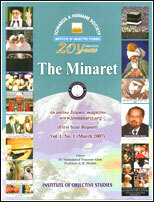 Apart from the millions who have been sent to "re-education camps", prominent Uighur figures have been detained or disappeared over the past few years: Islamic scholar Mohammed Salih Hajim, economist Ilham Toxti, anthropologistRahile Dawud, pop singers Abdurehim Heyt and Ablajan Awut, and football player Erfan Hezim are just a few examples. There is nothing "extreme" about being Uighur and being proud of it; just like the Han are able to observe their traditions and celebrate their identity, so should the Uighurs. There is nothing extreme about demanding cultural and religious rights. Then, there is the threat of "terrorism". There have been indeed violent incidents in Xinjiang, but protesting publicly is not terrorism. It is not too hard to fathom that when people are oppressed, when their dignity is violated, when they are not allowed to practise their religion and culture, when their family members are arrested simply because of their identity, public anger, frustration and mistrust are inevitable. Apart from that, there have been some scattered violent incidents in our heavily policed homeland and there have been some Uighurs joining terrorist organisations abroad. But is also an undeniable fact that the vast majority of Uighurs have chosen non-violence even in the face of increasingly violent behaviour by the state towards them. And while state security is important for any country, it is unacceptable and ridiculous to claim that terrorism is rooted in an ethnicity or a religion. The Uighurs are also accused of separatism, but they don't intend to get separated from China. They see their homeland as a colonised land which was not Chinese territory historically. They are struggling against both Chinese colonialism and the Chinese state's Han-centric ideology to establish peace, freedom and democracy in the region. Every Uighur, including myself, desperately wants peace, freedom, and democracy in East Turkestan. But I'm afraid there will be none as long as the Chinese government continues with its policies of cultural genocide and repression in East Turkestan.